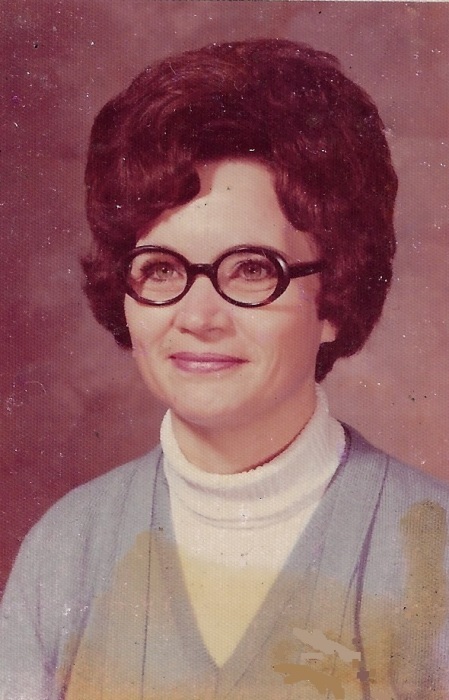 Shelby Jean Faircloth, 81, of St. Pauls died Monday April 15, 2019 at her home with family by her side. She was born March 16, 1938 in Robeson County to the late Willie and Nealie Ross Lyde. She worked in the administrative offices in the textile industry and later with Mueller Steam Specialities. She was a member of the First Baptist Church of St. Pauls, sang in the choir and had served as a Sunday school teacher. She is survived by her husband Bobby Faircloth; son, Michael Jackson and his wife Donna; granddaughters, Cameron Jackson and Emily Jackson; great grandson, Jackson Fedorchuk; step-children, Barbara Loterizo and her husband Joe and Carol West and her husband Tim; grandchildren, Gregg Long and Todd Long; great grandchildren, Savannah Long and Cody Long; brother, James Lyde and his wife Becky; and many nieces and nephews. A visitation will be held Thursday April 18, 2019 from 6:00 to 8:00 pm at McNeill Mackie Funeral Home of St. Pauls. A funeral service is scheduled for Friday April 19, 2019 at 3:00 pm at the First Baptist Church of St. Pauls, with the Reverend Pat Hash and Reverend Tom Thomas officiating. Burial will follow in Oak Ridge Cemetery. Arrangements by McNeill Mackie Funeral Home of St. Pauls.